People like to make lists. For some people, it’s a bucket list. Some like to keep track of the celebrities they are allowed to sleep with if the opportunity arises. Not me. Years ago I put together my zombie survival team. And though I know plenty of people with varied and worthy skills, making my team mainly came down to two things. Are you smart? Are you quiet? Because it is the introverts of the world who will survive the zombie apocalypse. Director Dominique Rocher’s unusually titled The Night Eats the World understands this. Sam (Anders Danielsen Lie) reluctantly stops by his ex’s party to collect his things. It is a loud, raucous event and Sam is in no mood. He stands moping alone until finally he wanders into a quiet back office, locks the door to the partygoers and waits. 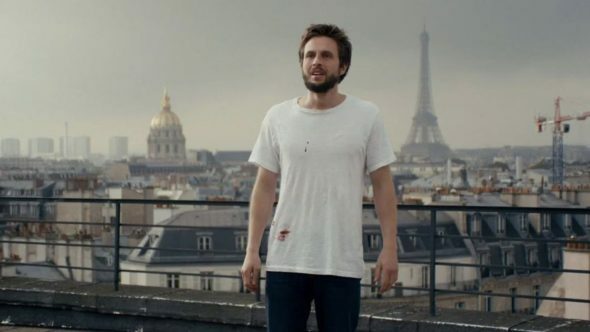 By morning, Sam may be the only living human left in Paris. The majority of the film quietly follows Sam through the apartment building as he fortifies his position, spends his time, survives. It’s a pleasantly pragmatic approach to the zombie film, although it asks many of the same questions Romero asked in Dawn of the Dead. There’s a lot going on here that’s fresh, though. Rarely is a zombie film this introspective or a horror hero this thoughtful. More than that, though, Rocher’s horror is a meditation on loneliness. Not only is that an unusual topic for horror, it’s delivered with the kind of touching restraint that’s almost inconceivable in this genre. Danielsen Lie, in what nearly amounts to a one-man-show, never lets you down and never feels showy. Sam is a man who is maybe too at home with the situation in a film that quietly asks, just what has to happen before a true introvert longs for human companionship? That’s why they’ll outlast us. It’ll just be a few dozen socially uncomfortable loners skilled at closing themselves off from the chaos around them. Plus Keith Richards.